What did the Puritans think about the Law? In this dissertation now published, Kevan surveys Puritanism on this important topic. Soli Deo Gloria Publications, Morgan, PA: 1993. When the morals of humanity degenerates, moving closely towards the radical relativism which has evolved today, then a book like “The Grace of Law” is much needed. This is Kevan’s doctoral dissertation on a “Study of Puritan Theology”, specifically the Puritan’s view of the law. Here he demonstrates how the Puritans excelled in understanding the relationship between their salvation and election in Jesus Christ and their adherence to law. They were not antinomians by any means, nor legalists. They did not work for their salvation (as popular opinion would have us believe) but they were obedient in their salvation. The keeping of the moral law was that which demonstrated to the world that they had been converted. There is no doubt that this is an exceptionally well documented and written book on the subject. I have found little which matches it concise and poignant spectrum of teaching. Its value is the extensive and well ordered treatment of the puritans view, and the documentation for further study of such an important topic. It is impossible to read the puritans and not find page after page, or sermon after sermon, of references to the law of God. It was their hammer by which they drove the nails of obedience, assurance, sanctification and the like into the mind of the believer. 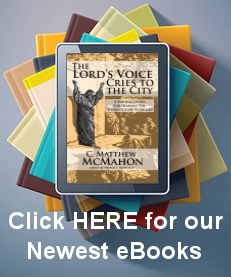 To remove the law from the theme of puritan preaching would have crippled it. The book has 7 chapters and a conclusion; as well as a thorough documented list of primary and secondary sources for bibliographic information. The chapters include “The Law of God for Man,” “The Place of the Law and the Purpose of God,” and “Christian Law Keeping.” He also covers a helpful topic in his chapter “The Puritan Doctrine: An Assessment in the Light of Recent Critical Studies” showing how far recent scholarship and this topic have come. I would heartily recommend this book to anyone dealing with the “legalism vs. antinomianism” subject, one who is wrestling with the place of the law in the life of the Christian. Dr. Kevan’s use of Puritan quotes will give you enough to chew on for quite some time. You will come away with a real sense of what the Puritans taught and preached concerning moral values and the distinction of what is right and wrong.